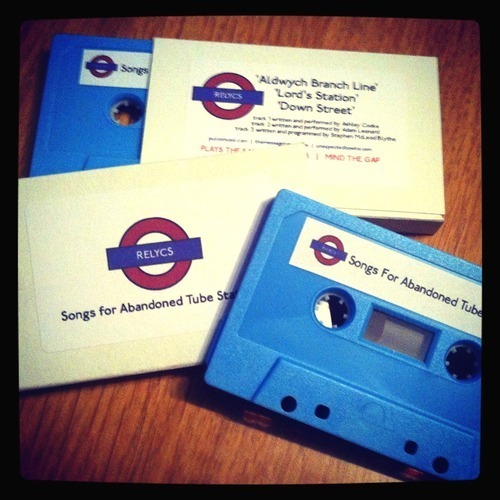 Way back in April 2012, intrepid musical explorer Ash Cooke – aka Pulco – got in touch to ask if I’d be up for contributing to a collaboration inspired by some of the many desolate tube stations that lie under the City of London. Having worked on a host of projects with Ash before, I knew how dedicated he was at coming up with really unique and experimental ideas, so agreed without much thought. Fast-forward to 2013, and the release is finally (almost) upon us – penned in for the 30th of September. The format will be limited edition C30 magnetic cassette tapes, each with 3 full colour numbered postcards, a credit sheet, as well as the digital download (obviously). There will only be 30 copies available. Ever. Full stop. Aside from my burbling chiptune sounds, the other guys are great at what they do.